(K) Start. Glued wood frame, immersed wish-bone into bees wax. (A) Bars of mica, neon pink. 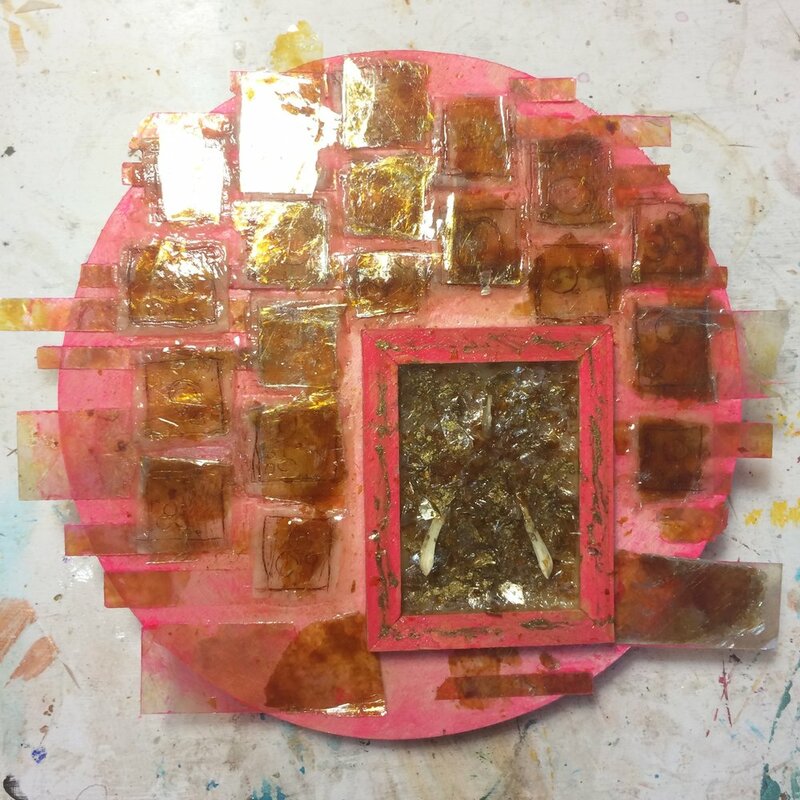 (K) Squares of waxed rice paper, inscribed images, pigment stick. (A) Mica squares, gold pigment. (K) Outer circle of wax, pink pan pastel, pearl, wax to frame with etched pigment. (A) Mica, acrylic, reverse pebbles. (K) Waxed texture, pan pastels. (A) Painted pebbles. (K) Waxed upper edge, carved holes.